They say watermelon does not contain lycopene, is this true? FALSE… In fact, and in addition to being delicious and refreshing, watermelon is actually a rich source of lycopene which is a natural pigment, soluble and belonging to the carotenoid family. Lycopene is considered a powerful antioxidant that has anti-inflammatory characteristics. Let’s note also that lycopene content in watermelon (and in other fruits and vegetables) may differ according to its variety and to its growing and storage conditions. Moreover, we should not forget that our way of preparing foods containing lycopene affects also the bioavailability of that ingredient as its volume increases when cooked, as in the case of tomatoes for example, and with the presence of fat. Is butter one of the dairy products? FALSE… Indeed, and contrary to the idea that may seem obvious to most people, according to the National Health and Nutrition Programme (a French reference body in nutrition), products that are part of the “dairy products” are milk, yogurt (and similar instances) and cheeses. As for butter (just like the creme fraiche), and despite the fact that it is a product of the cow’s milk emulsion, it is not considered a dairy product, but rather it belongs to the family of… FAT. To explain this, scientists have agreed to the fact that since butter is essentially composed of fat (82%) and water (16%), and it does not feature any of the main characteristics of dairy products, primarily calcium, it is nutritionally and scientifically classified as fat. There’s no difference in calories between black olives and green olives, correct? FALSE… Indeed, let’s begin by stating that olives (whether black or green) are a good source of essential amino acids, antioxidants, vitamins and minerals. Also, and since green olives are picked before maturity, they are hence less concentrated in fat than black olives; therefore, green olives are much less caloric than black olives (Green olives = 118 kcal / 100 g – Black olives = 293 kcal / 100 g – CIQUAL). Is it true that 1 g. of carbs is more caloric than 1 g. of proteins? FALSE… To start with, let’s note that proteins are essential to the life of our cells. They can either be of animal origin (meat, fish, eggs and dairy products) or of vegetable origin (mainly cereals and legumes). As for carbohydrates, they have the essential function of providing the energy needed for muscle effort, and they are also essential for the good functioning of the brain. Carbohydrates are divided into two groups: complex carbohydrates (bread, cereals, dried vegetables, etc.) 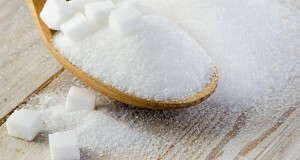 and simple carbohydrates (soft drinks, sweets, fruits, etc.). Now, to get back to our question, we should know that both of these food groups provide the same value calories; 1 g. of carbohydrates = 1 g. of proteins = 4 Kcal, while 1 g. of fat = 9 Kcal, and 1 g. of alcohol = 7 Kcal.